Almost 15 years after my high school graduation, I was fortunate enough to meet up with my high school art teacher, Mr. Painter. (Yes, that is his real name!) I’ve know Mr. Painter since about the 4th grade, and his teaching and attitude about art continue to have an influence on my work, but until this last get together I had no idea how true this was. 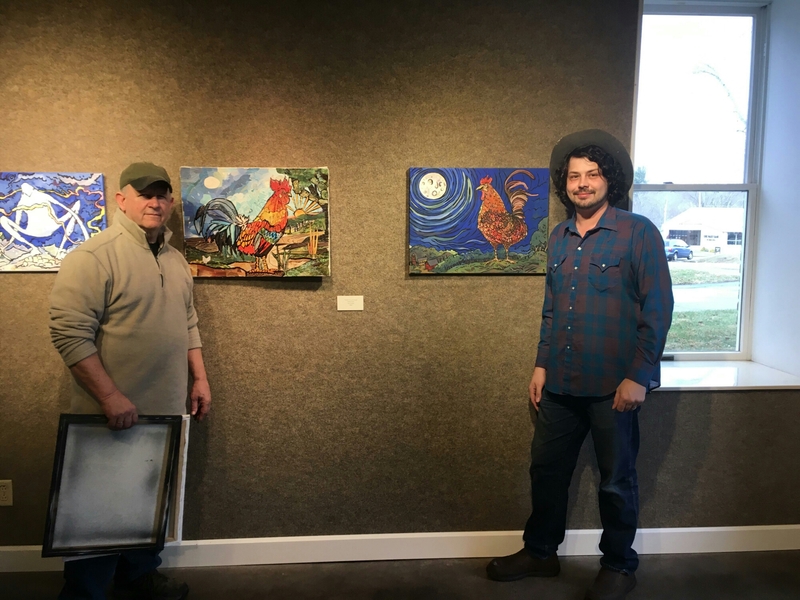 I think we were both kind of shocked by the resemblance when we placed our two rooster pictures side by side. After we left the gallery, I got the chance to see Painter’s studio and work space. True to form he taught me about new art materials to try out and needless to say, I left with an education!